You may want to know the top tech blogs in Nigeria and their global Alexa rank. So, this post is crafted in order to show some leading tech blogs, although there are many tech blogs in Nigeria which we may not have come in contact with, but for those that we are familiar with, are listed below with links linking to their Global rank. These Tech Blogs are meant to be visited if you are an upcoming blogger, so as to learn more about their designs, techniques and mostly their Technology News In Nigerian. As it stands now, the internet in Nigeria is getting a gigantic boom with Blogs, E-commerce and Internet-based Startups that are helping in building up future of technology in Nigeria. Some techy creative internet inclined guys are earning from online and one of those business is via Blogging. Without deviation, let's focus more on the Technology Blogs in Nigeria’s Blogosphere. 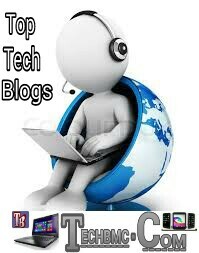 List Of Top Tech Blogs In Nigeria And Links Linking To Their Alexa Rank. These tech blogs or site are located in the following countries USA, UK, CANADA, NIGERIA, INDIA, KENYA, INDONESIA etc. Are you interested in creating blogs and websites just like the ones above? Do you want to start earning a living from blogging through Online Revenue monetizing companies like Google Adsense, Taboola, Content.ads, Infolinks, Media.net, ezoic, etc Then comment below, let me give you the free link to download the full ebook guide on doing that.